Pattern condition: Uncut, factory folded and complete with instructions. The pattern is printed on tissue paper. 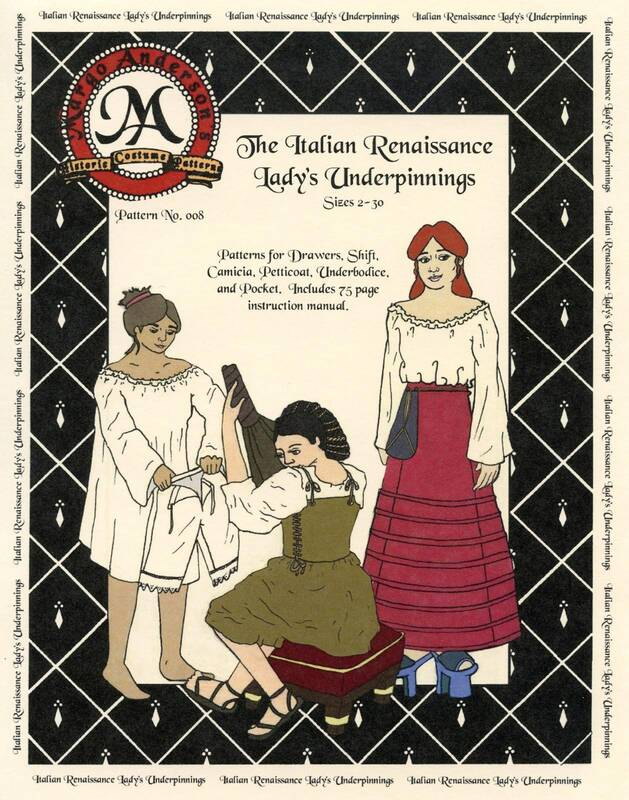 We are delighted to announce the first of our Italian Renaissance Lady's Ensemble: The Italian Renaissance Lady's Underpinnings, suitable for the years 1570-1600. 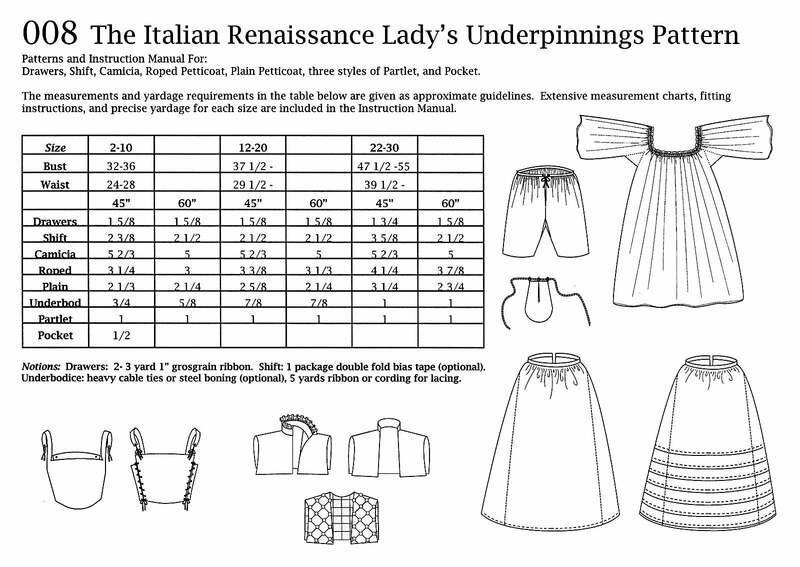 The Italian Lady's Underpinnings package includes the same detailed research and documentation that made our Elizabethan and Tudor patterns famous.